OWON: Regime change overseas when the Cabal cheats its own nation at home? Hillary's campaign allowed voters to caucus without registering. 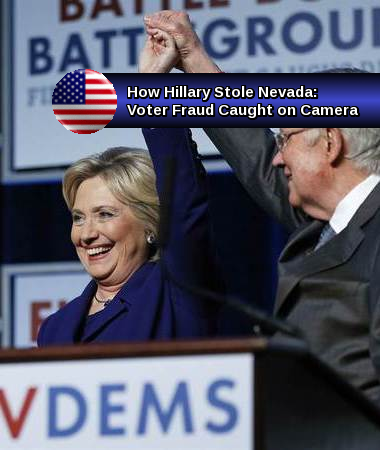 Textbook case voter fraud. Pro-everything awful and establishment blowhard Hillary Clinton "defeated" Vermont Senator Bernie Sanders in yesterday's Nevada caucus, 52.7% to 47.4%. But we're calling shenanigans. Similar to our last report on the presidential nomination race, "How Hillary Stole Iowa", it appears that Mrs. Clinton continues to find creative ways to rack up votes. 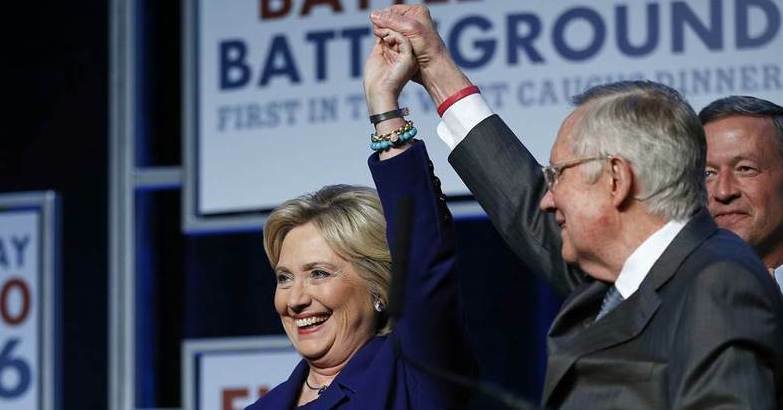 In Iowa, the Clinton campaign declined to "count" votes -- because what's the point in that? In Nevada, they adopted a slightly different strategy: Let's not bother with registering caucus-goers. After all, that would unfairly prevent people who shouldn't be voting from voting. You can clearly hear the Clinton goon commander announcing that "they will register after this", as Clinton fanatics rush past him. Yeah...no they won't. How many other Nevada precincts used this "open door" policy for Clinton supporters from Colorado/New Mexico/apparently it doesn't matter? This Woman stops at nothing. She needs to be stopped from effectively lying and cheating her way into the White House when she belongs in jail.